Uri finally crosses the 200 Cr mark and we are not surprised about the news. Seems like there is no ending for Aditya Dhar's Uri: The Surgical Strike as the film has attained Rs. 200 crore within four weeks of its release. Vicky Kaushal starrer has finally crushed a record previously held by the Hindi version of SS Rajamouli’s magnum opus Baahubali 2. 'Uri: The Surgical Strike' is built on the surgical strikes which were carried out by the Indian army in 2016. 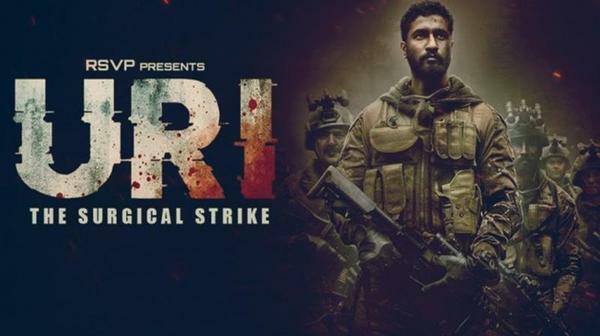 Trade analyst Taran Adarsh tweeted the news on Thursday that, Uri has made more than Rs 25 crore in its fourth week of release. According to Adarsh, the film crossed the Rs 75 crore mark on its eighth day of release, the Rs 100 crore mark on day 10, Rs 125 crore on day 13, Rs 150 crore on day 17, Rs 175 crore on day 23 and Rs 200 crore on day 28. The film registered the highest ever day 23 and 24 totals, conquering the previous records, set by Baahubali: The Conclusion, one of the biggest hits the country has ever seen. We are very happy with the success of the movie-Uri: The Surgical Strike.